Oh, what a disappointment! 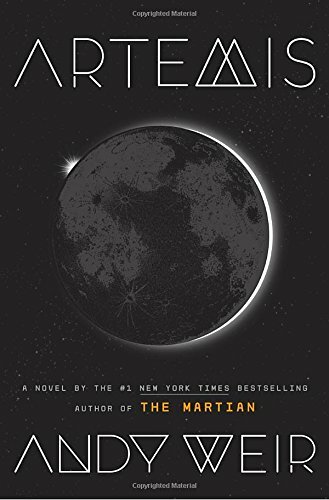 I approached Andy Weir's Artemis powered with the fervor of Martian. And this book, about the moon colony, starts quite brilliantly. The colony, with all its trappings of being a human civilization with human flaws (economic disparity, commercialism, crime, etc), is described well. There are fun facts like coffee tasting terrible because water never boils or that Kenya, with its proximity to moon (being on the equator) is suddenly massively rich and powerful. But then it immediately becomes clear that this book is written, largely as a movie script with ready-made characters right out of your average blockbuster script. It resorts to some terribly poor attempts at pedestrian humor and dubious plot elements to keep moving forward. It prioritizes forward motion over all else hence sacrificing the tension and good-natured angst that kept Martian taut and interesting.